Welcome to the build log for my last and latest FPV plane – the Fascination from Topmodel CZ. Well, the plane is going to be my FPV glider with an aim for flight duration rather than maximum distance. A long air time with a minimum of battery consumption shall be archived with help of solar cells installed on the center wing section. The coal is to have at least 36 cells installed in series to reach 16-18V output voltage. This solar cells will feed a DIY MPPT (Maximum Power Point Tracker) to run the solar cells as much efficient as possible and get the maximum power out. The MPPT set to provide a constant voltage of 12.6V with maximum current of 2A. While working either in constant voltage or constant current mode the MPPT can charge a 3S LiPo battery directly without risk of damage. Minimum input voltage of the MPPT is 16V and a maximum of 32V. Within this range the MPPT will supply the maximum output power of 25.2 W. From experience the electronics will draw around 0.8-1A. Expecting 2A from the MPPT leaves 1-1.2A to charge the LiPo battery in flight. Not bad I guess. The plane will be FPVed using a proofed and reliable setup consisting of EzUHF RC control, 1.3GHz/700mW video transmitter with RMRC-700VX camera and uThere Ruby autopilot including OSD. More on this later, back to the plane. I placed my order and the package took 3 days from Czech Republic to Germany. What I have ordered is the ARC version, this is why all wooden parts are not covered with Oracover. The plane is available in ARF as well and is covered then. The plane comes as a kit, excellent packed and protected. Above pictures showing the outer and inner box. All the kit content is packed in plastic bags which are stapled inside the box. There are no flying parts that may damage something during transport. You get the first impression of the quality and what to expect further on. Unpacking the box reveals a lot of goodies. The upper bag in the left picture contains all parts needed to build the plane and is included in the kit. Spinner and connector pair is sold separately. Servo linkage covers and servo supports show on the right. The bag with required parts in details, also the manual. All parts come in plastic bags. Above the outer wings (left removed from plastic bag already) and center wing section. Control surfaces are fixed with masking tape. Fiber glass fuselage including one canopy. Spare parts are available for all major components of the Fascination. I ordered a spare canopy since one will be modified to hold the FPV camera with pan servo. Holes in the vertical stabilizer are factory drilled. Inside the fuselage. The elevator servo wire is factory installed and fixed inside the tail boom. Access to the fuselage is possible through the canopy opening and underneath the wing saddle. Center wing section with factory drilled holes for flap servos, leading edge fixation, servo wiring exit and wing saddle bolts. Wing section break with holes for servo extension connector and joiner pins. Left is a servo cut out in detail. You can see the foam channel for wiring. The channel is big enough to hold at least three 3×0.25mm² servo cords. Elevator and rudder control surfaces. Elevator spars are carbon fiber tubes. Remember, ARC version, so parts are not covered. That was about unpacking and the kit content, let´s start building! First I started with covering the control surfaces since they don´t need any modification. Everything is covered using Oracover. I took a nice bright color for the controls to increase visibility. Next the place for the video transmitter was found. The structure behind the wing bolts seems to be perfect. This place has only a aerodynamically effect and takes no loads. So I made a cut out and the transmitter snuggly fits. I put two layers of glass fiber in the cut to give it more mechanical strength. A milled channel on the wing bottom takes the wiring to video transmitter and will be covered later on. Since no modification needs to be done on the wing top this part was covered next. Wrong decision. 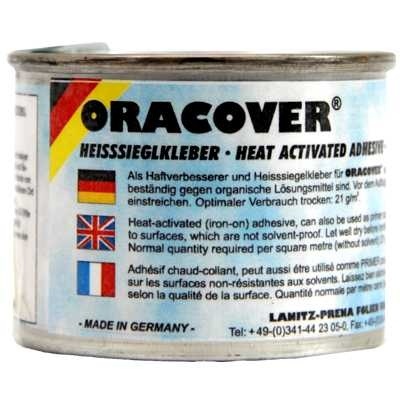 One my buddies recommended to use Oracover hotmelt adhesive on the Balsa wood prior to covering. He was right. I removed the top cover within a second. The Oracover film was not sticking very well. So I´m back with a plain center wing which is also better since I´m going to install the servo to control surface links in different way than the manual proposes. Inside the servo holes the remaining layer of EPS foam was removed. Not a good base to glue a servo on. I made 4 servo supports out of plywood, 2mm for a base plate with 4mm glued on top and cut out to take the Hitec HS-125MG servos. Servo supports glued in place with Epoxy. A second cut out was made in the wing saddle. This way the rudder servo can be shifted back by more than 5cm to enlarge the electronic bay underneath the wing. Plywood servo holder glued in place. The wing saddle is doubled with 6mm plywood where the blind nuts for the wing bolts will be fixed. Carbon rods fixed with epoxy in the elevator halfs. The elevator will be removable for easier transport, they hold together just by friction of the rods. All aileron and flap servos are installed the same way. The control link goes through the wing and exits on top with the clevis. There is a minimum overhead this way on the wing bottom and the bulky covers are not needed. I will make some protection from Balsa and cover the servo holes with Oracover then. Example how it looks on the aileron, clevis and horn. Servo lever protection made from 3mm Balsa and the outer wing joiner with MPX connector for aileron servo. LH outer wing finished. The servo access will be covered with tape until final mechanical trimming is done. Then Oracover will be used. The elevator servo base glued in. I used extra washers to keep the elevator lever centered inside the fuselage and to maintain defined spacing. Without washers the lever can move around and the hinge tube will stick out of the fuselage and create a big gap between vertical stabilizer and moving elevator surface. Note: You better build light on the tail! Mine is heavy duty and I need lead in front to balance at correct CG. The canopy had to be reinforced. The fiberglass layer is such thin that it was worn out and broke after a few tries of locking the canopy. I put two additional layers of glass, now it´s rock solid. A base plate was made for the electronics bay from plywood. Glue in place in a way to be in level with the wing saddle. The uThere Ruby autopilot will take place there and shall be leveled with the wing. The FPV camera goes on a separate mount which will be covered by the canopy. The canopy itself is not suitable to hold the camera since fiber glass is to thin to provide a good support. Plywood was used for the mount and a 2.5mm threaded bolt takes the pan servo with camera. The servo arm will be fixed with two additional screw to block rotation. The canopy was cut in two parts where the front part is still removable and covers the FPV camera mount. The rear part will be glued to the fuselage later on. Inside the fuselage looking back from motor frame. Motor frame glued in. Holes for the motor had to be extended to take a Kontronik gearbox. Center wing section covered with Oracover. All cutouts made and flaps attached. The two holes on the outer edges will take the EzUHF RX antennas. Video TX in place, temporary fixed and covered later on. Barometric&Magnetic field sensor of the uThere Ruby autopilot and the 26 pin wing break connector. (4 pins left free 😎 ) Connector fixed with plywood to the wing bottom. Ruby autopilot and EzUHF receiver installed in the electronic bay. The Ruby GPS is placed in front and covered by the canopy. The Ruby OSD is located below the electronics bay base plate. FPV camera with pan servo. Due to lack of channels the pan servo is mapped through Ruby dependent on control mode. In manual RC mode the left stick controls rudder while in aided mode the stick controls the pan servo. Ruby takes control of the rudder then. Lookin back from the motor frame. There is still plenty of space. A 5000mAh 3S1P will fit easily and can be moved around to adjust the CG. Due to problems with the power supply causing brown out resets in the EzUHF receiver a low noise uBEC has been isntalled. On the Ruby main board the power supply is isolated now which mean that all the servos are powered from the Castle ICE Light 75 ESC while the Ruby autopilot and EzUHF receiver are supplied from the uBEC. Later on I run into interferences in the video link caused by the motor. A common mode filter is installed in the 12V supply line feeding the OSD+Camera+Video TX from the battery. The Castle ICE Light 75 ESC. Modified to supply 5V and 12V to the OSD+Camera+Video TX. The power duo, a Kontronik KBM 56-36 motor (3600KV with 5.2:1 gearbox) spinning a Graupner CFK folding prop 15×8 fixed on a Freudenthaler special spinner. Maximum input power is ~470W and shall provide ~3.3kg thrust theoretically. Unfortunately I need 100g lead to balance the plane at 80mm from the leading edge. I think I will get a bigger battery to compensate the additional weight. I removed the 100g lead and moved the battery forward. In addition the CG has been changed to 91-95mm from leading edge. The plane flies much better this way. The battery bay, space for 3S 5000mAh or a bit more. 3M Dual Lock keeps the battery in place. GPS is now located behind the camera below the canopy fix part. Great build article, thanks for taking the time. I just started my condor (same but glider version) that will have nose cut off. Trying to work out battery layout now. Anything you´d change? Any links to other info or pics you might have posted? For now all info and pics are online. Still waiting for weather to make the maiden flight. Very nice aircraft, thinking of doing similar, interested in your antenna placement for LRS and video TX, you have some sort of V antenna from the fuselage, in the video, can you explain that feature please. Like already noted, the plane in the video is not mine. So you have to ask the owner. ruby comes ready to use for a certain type of planes and is usually plug-n-play. If your plane doesn´t exist in the configuration database then Jim from uThere will be happy to assist with the configuration. He will not stop supporting you until you are satisfied with the plane and Ruby installation. Once configured the plane is care-free. Just swap batteries and throw it back into the air, Ruby will take care of the rest. Can you give me a wing chord near the fuselage and in the end of the wing ? Go for it. You will not regret. ich bau gerade die Faszination und habe auch den ruby Autopilo mit OSD. Meine frage an dich wo hast du den speed sensor untergebracht? Wenn ich richtig gesehen habe gibst du auch tipps in einem forum bzgl. ruby. Solte ich recht haben würde ich dich um deine email adresse bitten; da ich noch mehr fragen hätte und dich gerne kontaktieren würde. Airspeed Sensor befindet sich im Flächenmittelstück rechts. Oben mittig im Bild. Der Sensor sollte soweit wie möglich in der Mitte der Flächentiefe sitzen um Beeinflussungen durch dynamische Druckschwankungen zu vermeiden. Strecke kann man problemlos machen wenn nur die Ausgangshöhe stimmt. Was macht das Ruby im Falle von RTH? Läuft die ganze Zeit der Motor oder wenn die GEschwindigkeit reicht, gleitet das Modell dann auch nur? Entscheidend ist die Ausgangshöhe. Wenn hoch genug wird das Modell mit der Standard Sinkgeschwindigkeit gleiten und Höhe abbauen bis Minimum 300ft. Während dieser Gleitphase sind zwei Geschwindigkeiten entscheidend, True Airspeed und Groundspeed. Die True Airspeed wird über die Sinkgeschwindigkeit so gehalten, das kein Strömungsabriss eintritt. Weiter wird die Geschwindigkeit über Grund bei Minimum 10knt gehalten. Im Falle von starken Frontalwind ist die True Airspeed zwar hoch genug aber ggf. die Geschwindigkeit über Grund 0 oder negativ, in diesem Fall wird trotz Gleitbedingungen der Motor aktiviert, da sonst Home nicht erreicht wird. Wir die minimale Flughöhe für RTH von 300ft erreicht dann wird der Motor zum Weiterflug aktiviert. Auch hier wird die konfigurierte Basisgeschwindigkeit + Flughöhe gehalten. Du hast den Airspeedsensor bzw das Rohr ja mittig auf/in der Fläche montiert. Wird der so nicht von Deiner Kamera verdeckt? Oder ist da nicht sogar die Haube drüber? Sieht man auf den Bildern leider nicht. Würde das ja sogar im Leitwerk verbauen, wäre aber dann wieder Zusatzgewicht hinten. Der Airspeedsensor befindet sich im Flächenmittelstück, rechts am äusseren Rand. Auf diesem Foto der Ausschnitt oben. Was du als Sensor vermutest ist der Haltestift des Flächenmittelstücks. How did the solar cells work out? I have been flying my Fascination FPV for several years (mine is the one in the video on TopModels web page) and I have made several upgrades and improvements over time, such as removing the “V” external UHF antenna and locating it inside the vertical stabilizer. I also upgraded to the Eagle Tree Vector. But your solar panel idea is intriguing to me. I have had 2.5 hour flights and still had enough battery, but it would be nice to not have to worry about the battery for one all day flight. After playing with some solar cells on the bench I gave up on this. They are to fragile and putting them on the wing should be an integral part of the build process. Nothing that should be done when the plane is already finished. I’m thinking about putting my RubyOSD into a Fascination for thermalling. Do you like your Fascination, and what would you change next time? I’m planning basically the same build except an 800mW 1280Mhz Tx and a TSUHF for control. Fascination is a great plane, would buy it again if I had to. However, There is no need for a Ruby if you focus on thermals. Have a simple OSD with a good vario instead. On a next build I would use smaller servos and motor+gearbox combo with less power and torque. Mine is definitely overrated. I recommend to make your as light as possible.